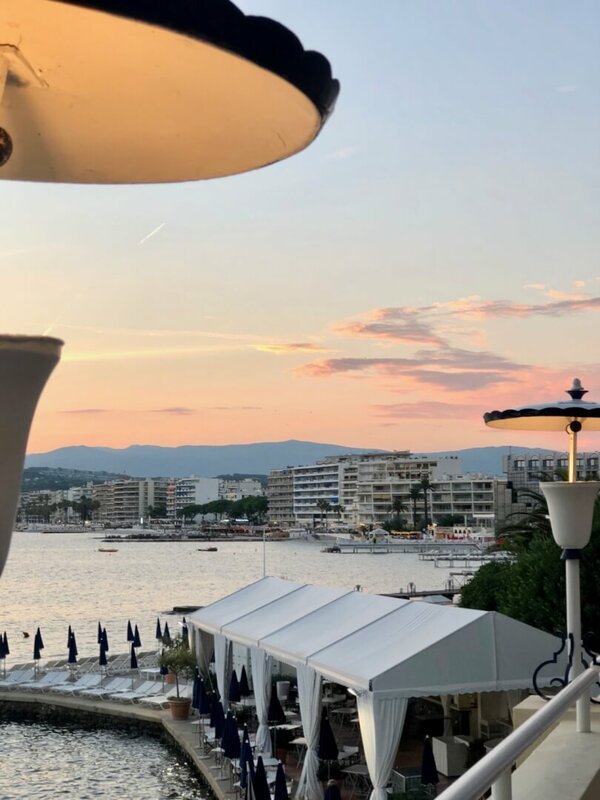 Last week was super exciting with a special visit to the famous Hotel Belles Rives in the French Riviera. A lovely invitation from the Swiss cosmetic company Valmont. All in the honour of discovering and experiencing their new anti-aging AWF5 collection. I should say 2 collections really as the new AWF5 collection consists of a V-Line Lifting line and a complementing V-Shape Lifting line. 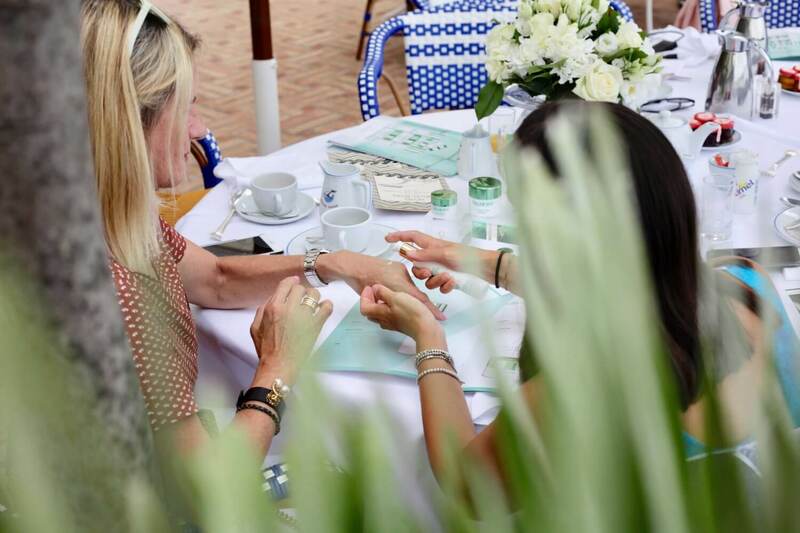 Keep reading to find out more about princess feelings in the French Riviera discovering Valmont’s new AWF5 collection. 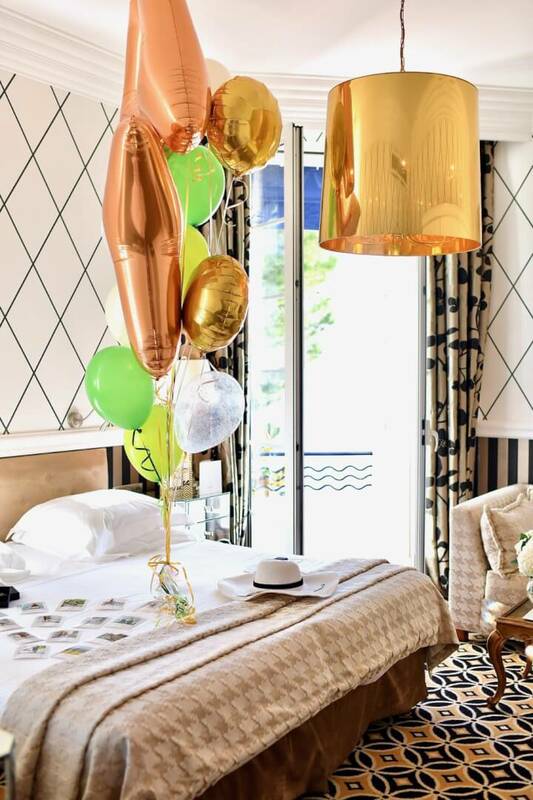 After arriving at this wonderful Hotel Belles Rives I was taken to our breakfast table where the 2 new lines comprising the AWF5 where explained to me. AWF5 stands for Anti-wrinkle and Firmness concept. A product range offering effectiveness to the 5th power thanks to an exclusive complex of 5 active ingredients. I’m getting excited when I hear all this. After all I had promised hubby to come back home looking 10 years younger – smile! V-Line Lifting Concentrate – A serum specialising in reducing wrinkles and fine lines. V-Line Lifting Cream – A cream specialising in reducing wrinkles and fine lines. V-Line Lifting Eye Cream – Designed to reduce wrinkles, fine lines and dark patches around the eyes. 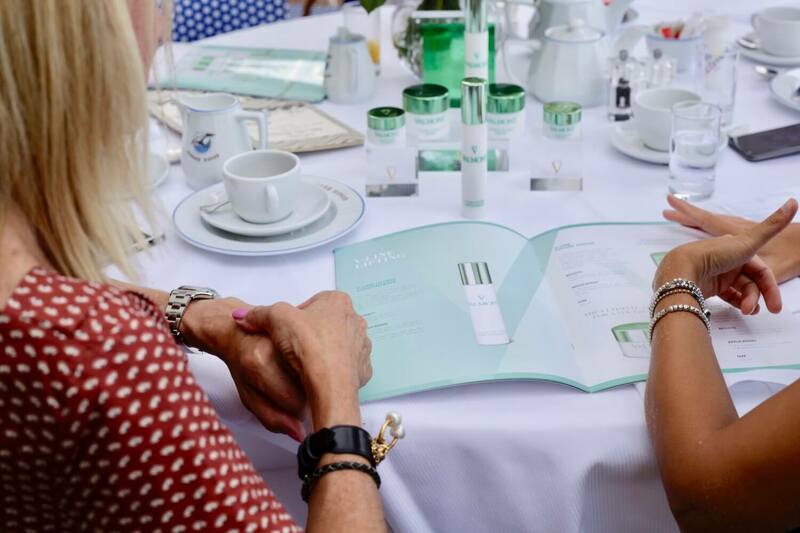 V-Shape Filling Concentrate – A serum specialising in enhancing volume. Designed to help sagging skin with diminished elasticity. V-Shape Filling Cream – A cream specialising in enhancing volume. Apply over one of the 2 serums of your choice. V-Shape Filling Eye Balm – A volume enhancing eye balm designed to help drooping eyelids and hallow eyes, making the gaze more open and lively. The great thing about these 2 product lines (V-Line and V-Shape) is that you can use them interchangeably depending on your individual skin needs. Gasp – imagine almost a century ago F. Scott Fitzgerald lived here, in a rented seaside house called the Villa St. Louis with his wife, Zelda, and their daughter, Scottie. This is where Scott wrote “Tender is the Night”. 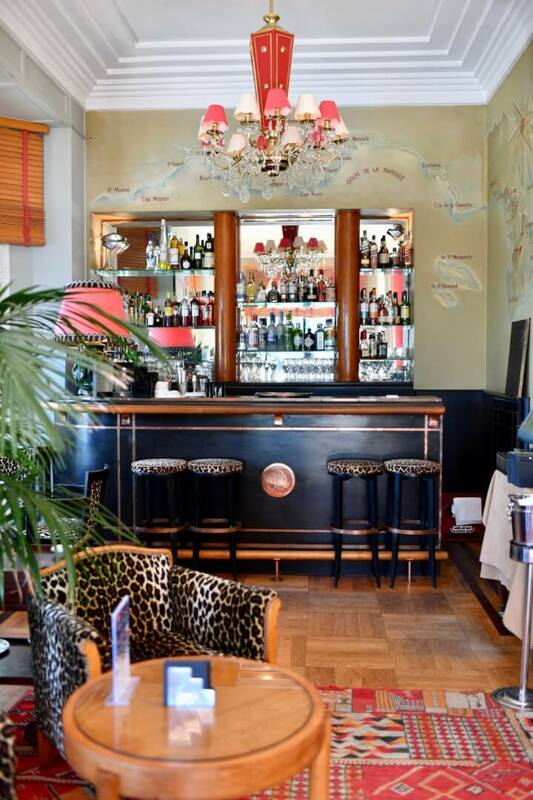 After the Fitzgeralds left in 1927, the house was expanded into a hotel called the Belles-Rives. Now having 40 rooms and five stars! You need to visit one of the Valmont Spas to really have the full Valmont experience. After my Valmont spa treatment I felt almost newly born. Me after treatment and “successfully” waterskiing – smile! Thank you so much for the fabulous two days dear Valmont! Practising the FunkyForty jump with Giulia and Roberta from Valmont. One of the best things about a trip like this is the lovely friends you make. 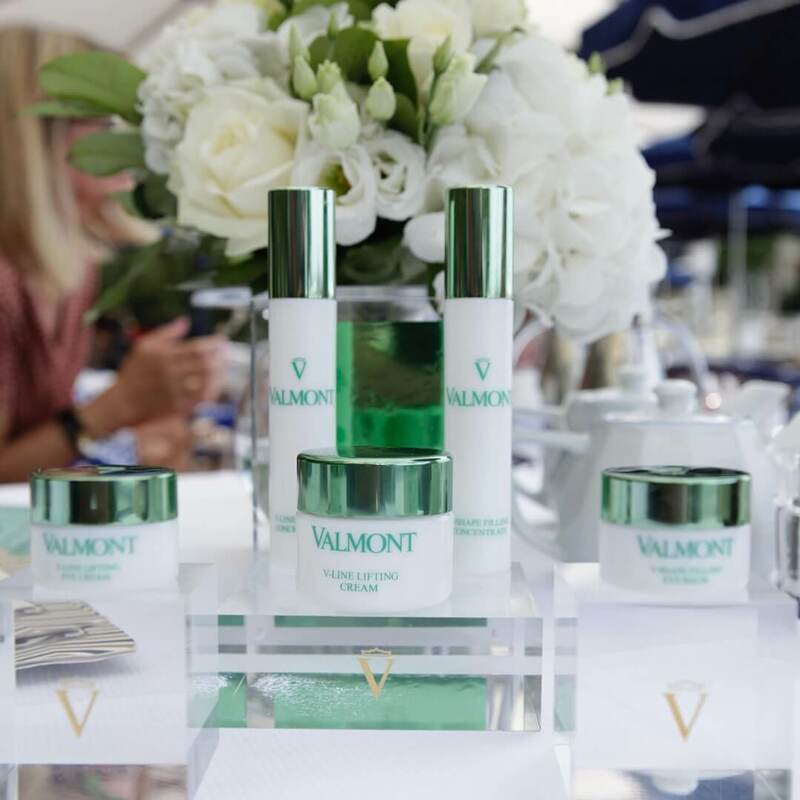 To find out more check out the Valmont cosmetics site here. Milan Fashion Week Coming up NEXT! Take care of your skin today! « How to make even the Trickiest Colour Work for You! My kinda of get away and such history !